The Ultimate in Nano Quad Fun.. 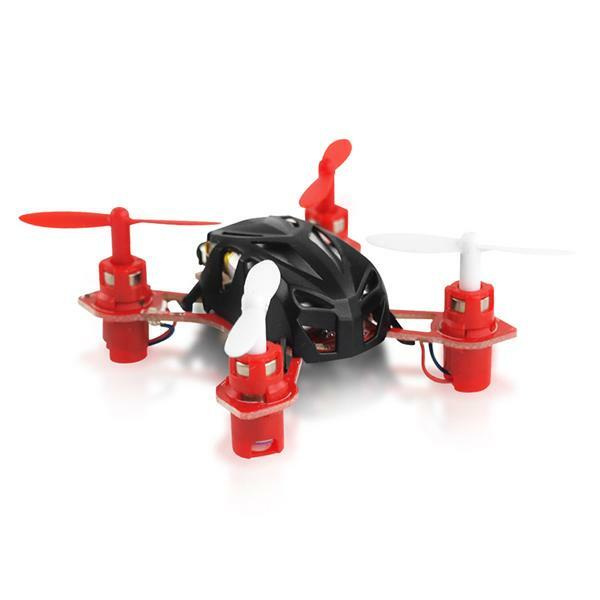 The ultimate in Nano Quad Technology, these are the perfect Mini Quad for Indoor and Outdoor use. Easy to control and super stable for all levels of use. Up to 12 min flight times are possible from a single charge, without a doubt the team at Xtreme Hobby rate this as the best Micro Quad on the market, no other Micro performs with such precision and yet such fun as the WL Toys Nano Velocity. The World's Smallest Quad with most popular mini controller appearance. The V272 quadcopter can be bind with WLtoys V222/V202/V212/V262 transmitters. FMS Sunshade Model Cover for 1300mm to 1700mm Planes.